Dr. Fadzai Mutseyekwa joined Africa University (AU)’s Clinical Research Center on the 3rd of January 2018 as the new Director. 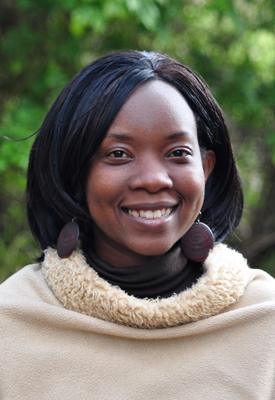 Fadzai, a public health physician and measurement scientist, holds a Bachelor of Medicine, Bachelor of Surgery Degree from the University of Zimbabwe as well as a Master of Public Health Degree from Africa University. With clinical interest in Prevention Medicine, Child Health and HIV Medicine. Fadzai brings more than a decade of experience in the fields of public health medicine, research, teaching and programming. Prior to this new role, Fadzai was the Director of Innovations, Research, Monitoring & Evaluation (M&E) at the USAID’s flagship Maternal & Child Health Integrated Program where she was responsible for providing oversight for the processes of research stakeholder engagement, protocol development, study implementation from scientific and administrative perspectives and also directed the project’s M&E agenda. Fadzai has also been a Research Fellow in the then Faculty of Health Sciences at AU, where she supported the faculty and students to implement various projects and research efforts, a number of which have since been published in reputable journals. During her tenure with the University, she continued to operate as a medical officer at the HIV OI/ART clinic and the UNICEF funded Family Support Trust clinic at Mutare Provincial Hospital as part of her community service. A member of the Zimbabwe College of Public Health Physicians, she is also the outgoing Vice president in the inaugural executive of the Zimbabwe Young Academy of Sciences (ZIMYAS). She has also served as the inaugural Vice Chairperson of the AU Research Ethics Committee and is a reviewer for the Medical Research Council of Zimbabwe and for peer reviewed journals such as the Stanford University hosted “AIDS Research & Treatment” and the “African Journal of AIDS Research”. Fadzai is married to Bright and the couple have been blessed with two children, Vhenekerai and Chiedza.